As Eddie Stats wrote in Ghetto Palms a couple weeks ago, one of our favorite blogs, Ghetto Bassquake, is branching out into the record-making business, purveying the same type of adventurous, global-loving sounds we've come to expect. 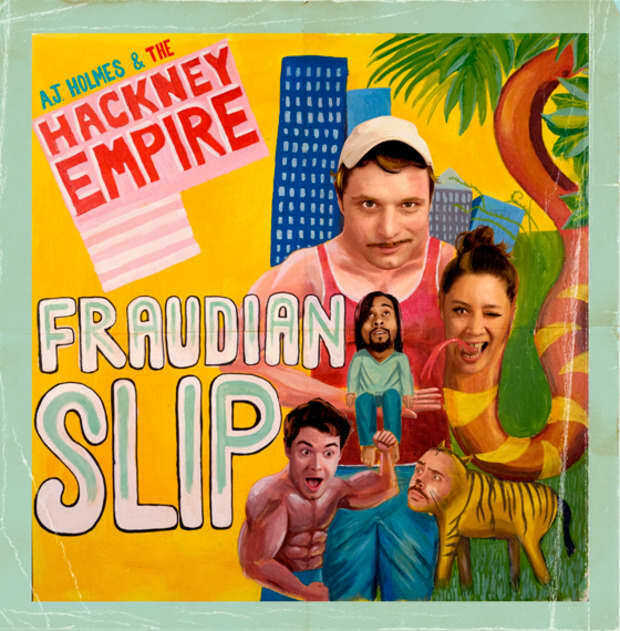 Their first release is the effervescent "new electric highlife" of the Hackney Empire, a raucous bit of joy produced by Radioclit and voiced by Kastro, MC of West London's popular Secousse nights. You can preview the whole thing here—it's out everywhere digitally September 24, with a 7-inch to follow. Until then, grab the remix by FADER 69-featured Erick Rincon, young tribal guarachero superstar, below. It is notable both because it's Rincon's first-ever remix commissioned outside the tribal guarachero scene, and because IT IS A GRADE-A FEELGOOD BANGER. Happy Monday!